India's one of the largest ever spectrum sale where mobile Airwaves worth INR 5.63 lakh Crores are up on the block kicked off today. Leading operators Idea Cellular, Bharti Airtel and Vodafone including Reliance Jio are in the ragged for frequencies that are critical for next generation telecom services. The department of telecom will release results of daily bidding at the end of every day. Much as 2,354.55 Mhz of frequencies are being put up for auction in seven bands 700 Mhz, 800 Mhz, 900 Mhz, 1800 Mhz, 2100 Mhz, 2300 Mhz and 2500 MHz. 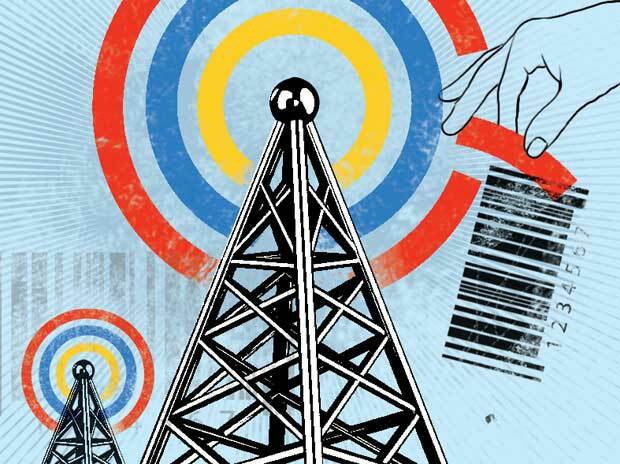 Government has fixed a Pan-India reserve price of INR 2,873 Crores for spectrum in 1,800 MHz band, INR 3,341 Crores for 900 MHz, INR 5,819 Crores for 800 MHz, INR 3,746 Crores for 2,100 MHz, INR 11,485 Crores for 700 MHz and INR 817 Crores each for 2,300 MHz and 2,500 MHz bands. The premium 700 Mhz band is to be auctioned at a base price of INR 11,485 Crores per Mhz. The cost of delivering mobile services in this band is estimated to be around 70% lower than 2100 Mhz band used for providing 3G services.